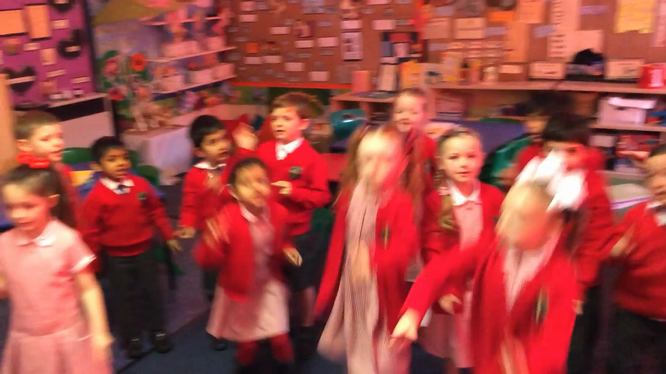 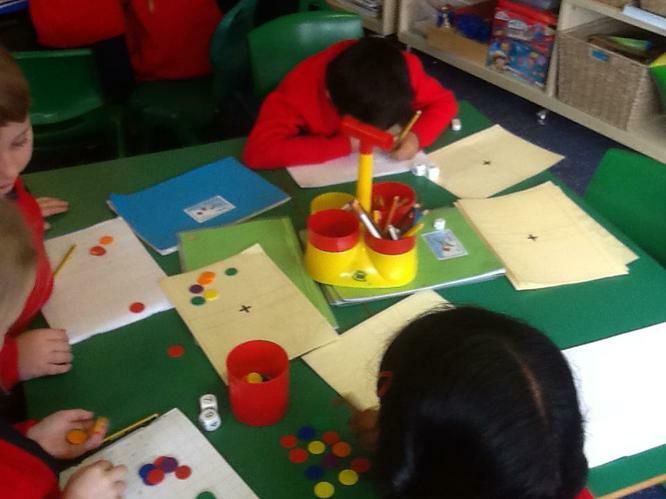 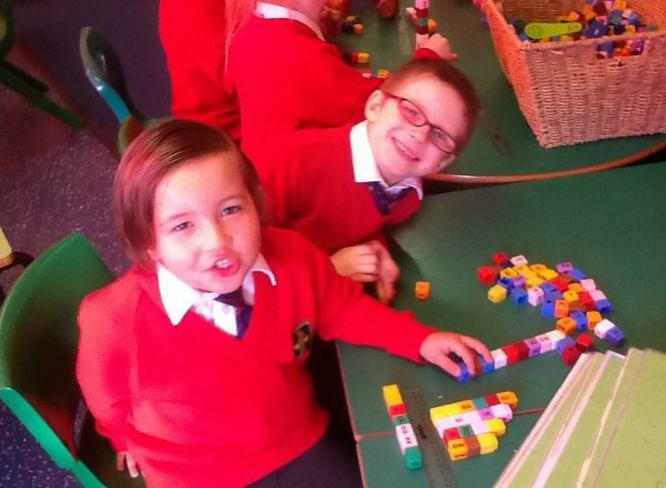 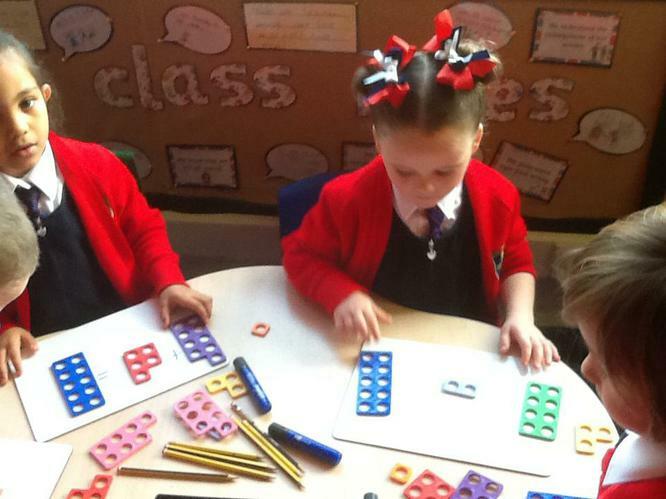 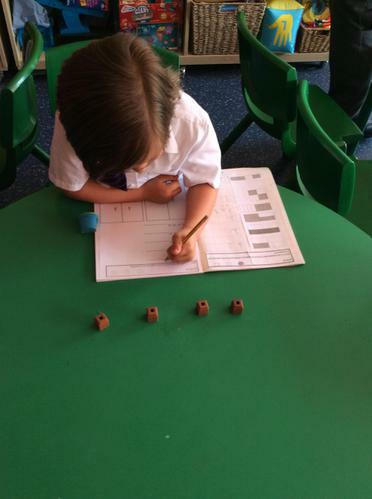 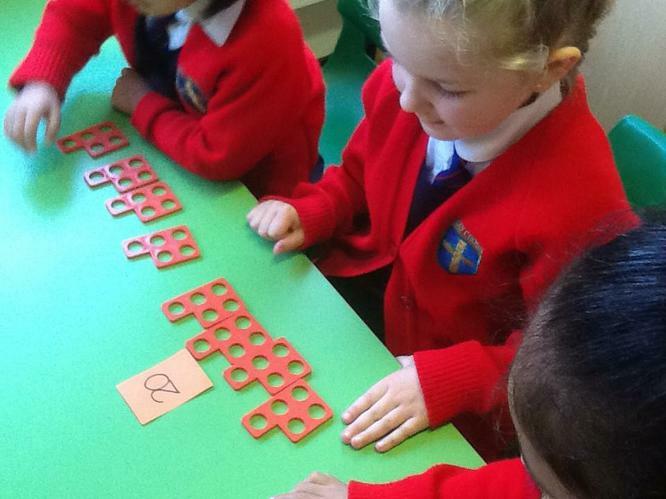 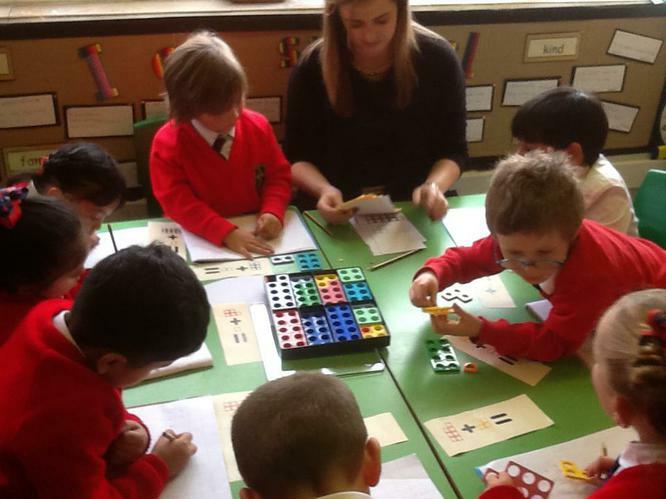 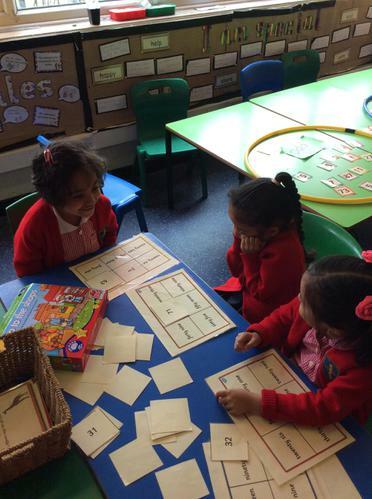 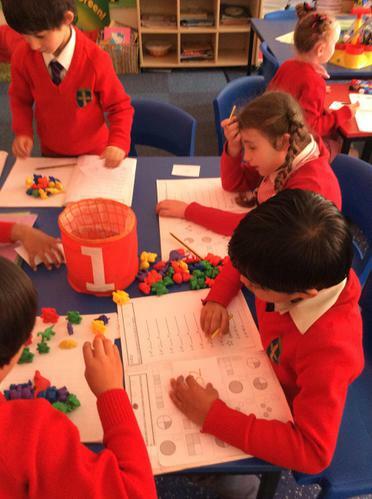 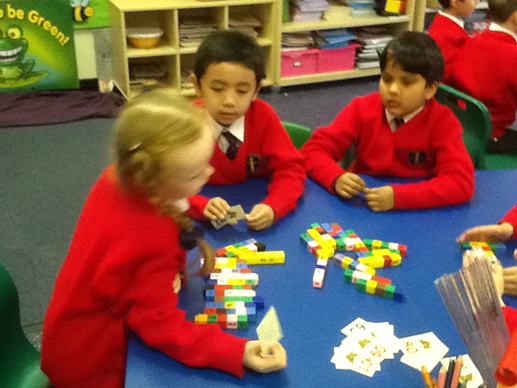 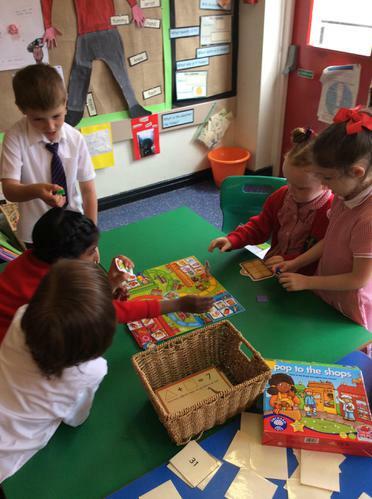 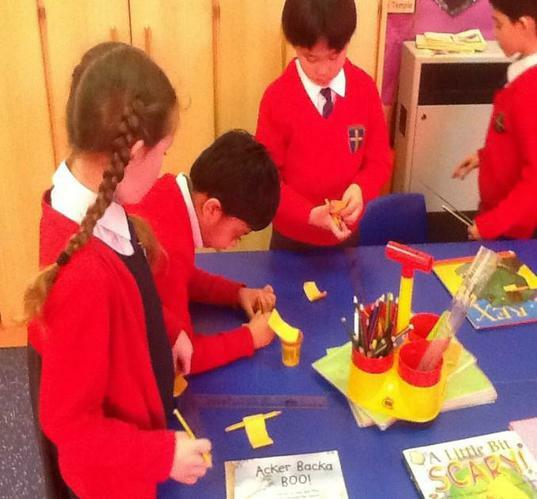 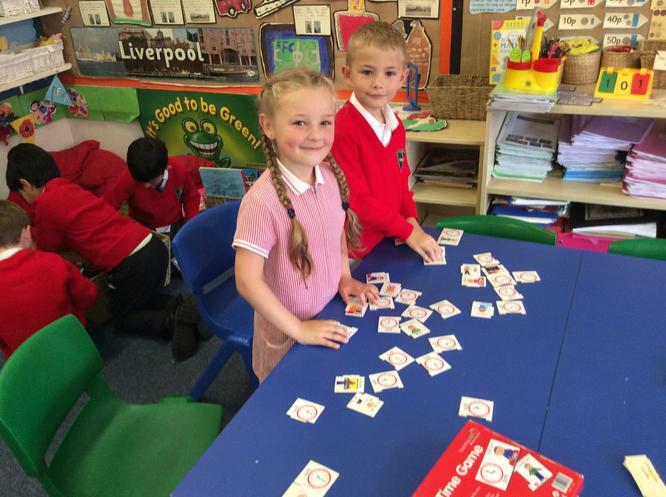 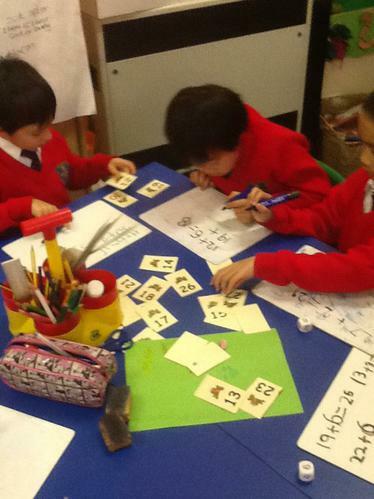 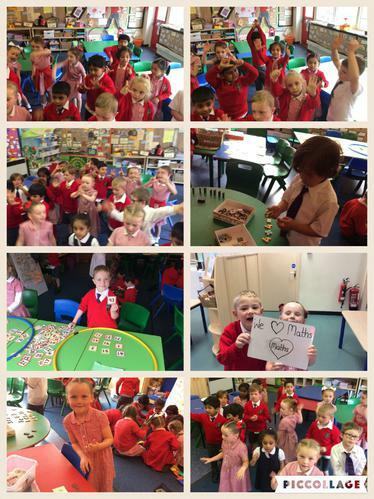 In Year 1 we work very hard and have lots of fun during Maths lessons. 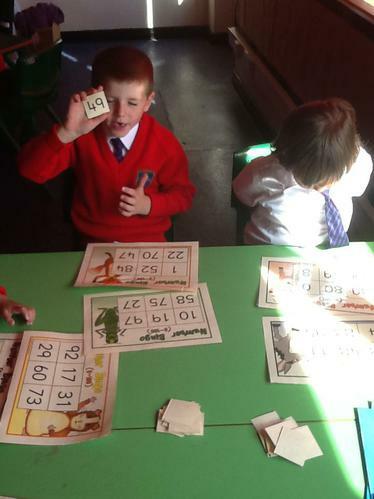 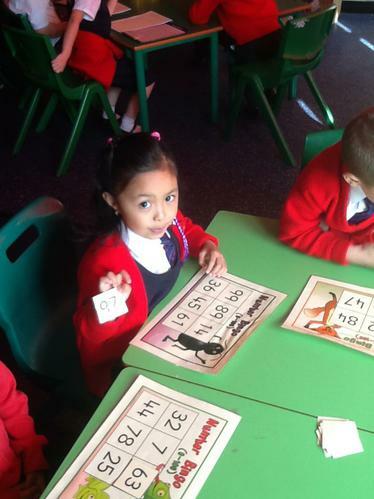 We enjoy playing number bingo and other games to help us recognise numbers 1-100. 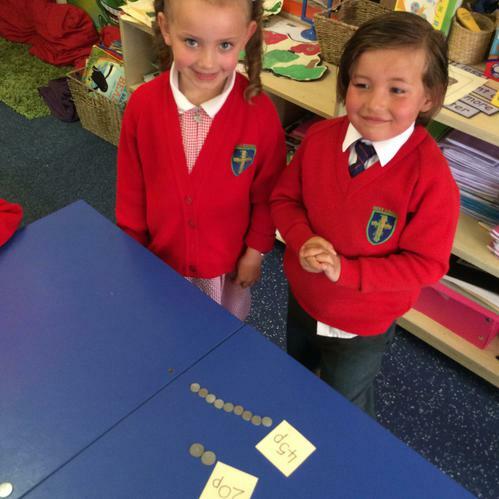 We enjoy finding one less than from any given number. 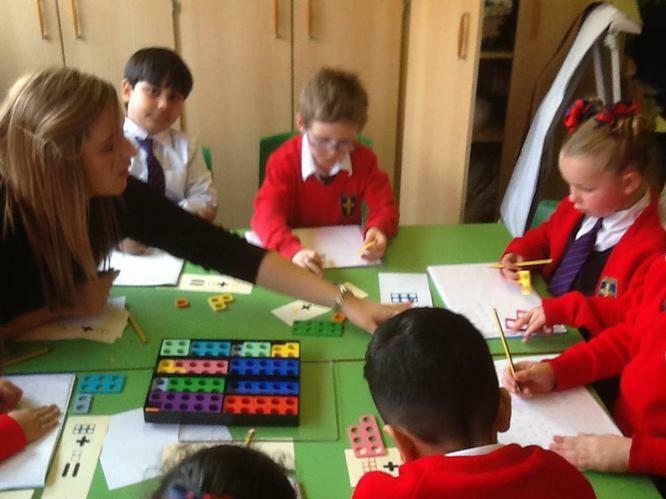 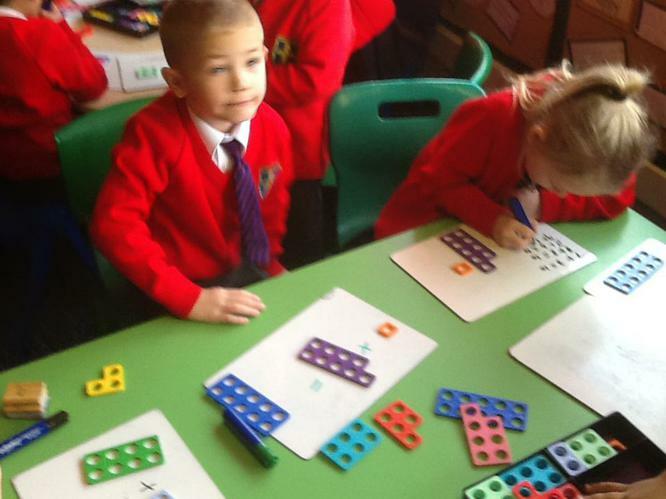 We can use Numicon to help us solve addition statements in class. 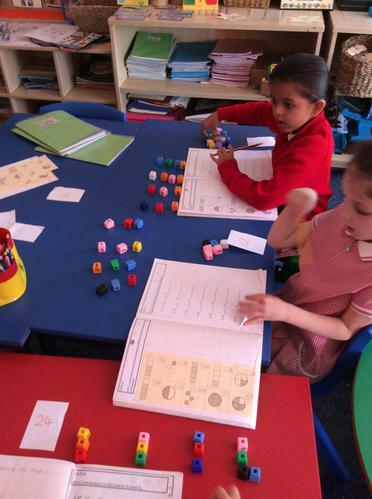 Look at how we can use counters, bears and addition mats to help us answer the addition statements. 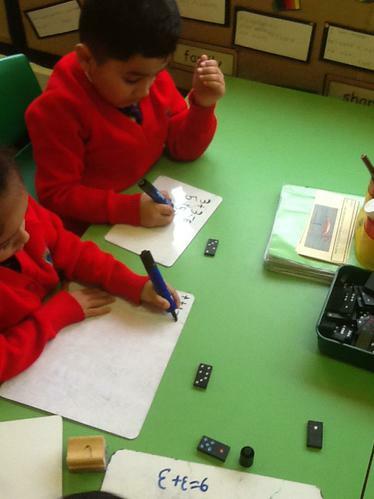 Look at how we use number cards and dominoes to create our very own addition statements. 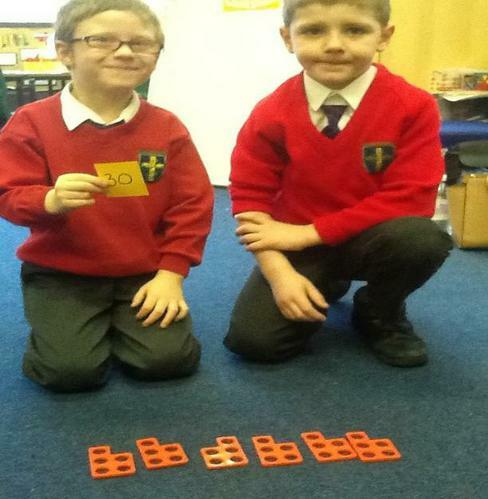 Look at how we can count in 5s using objects to help us. 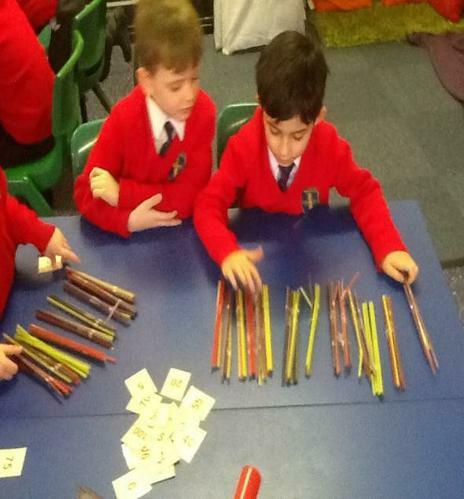 We counted the bundles of straws and cubes in 5s. 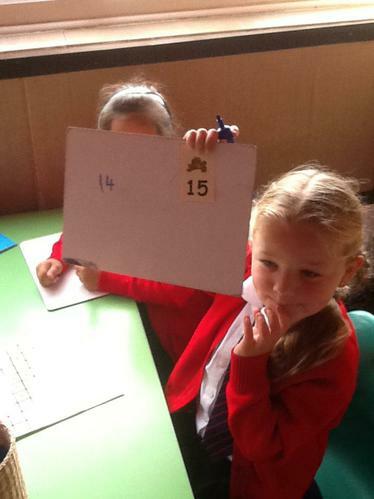 We loved our challenges of finding how many groups of 5s we needed to make up the amount on the number card. 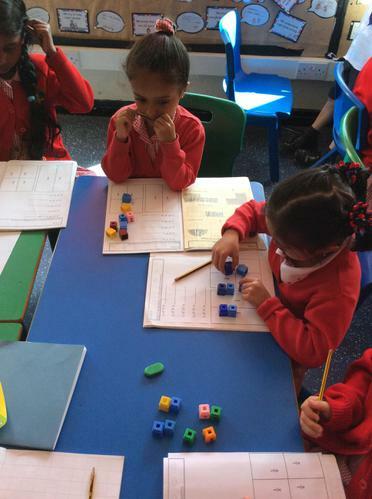 Look at how we can use Numicon to help us count in 5s. 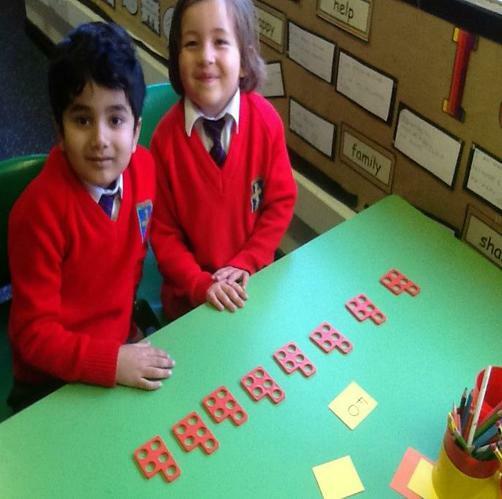 We can compare lengths and order them from the shortest to longest. 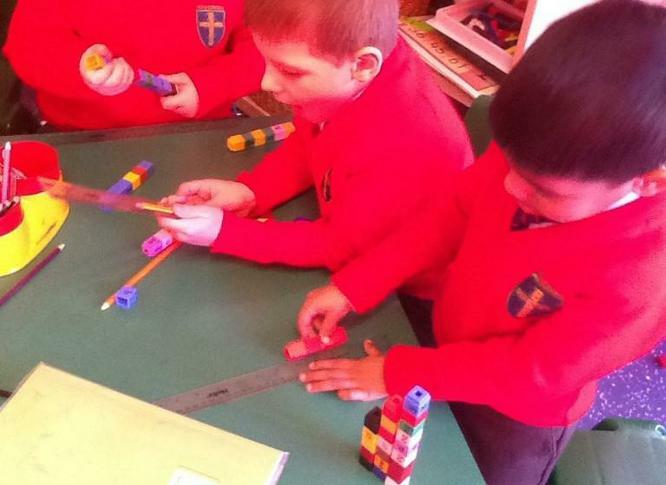 We learnt how to use a ruler to measure! 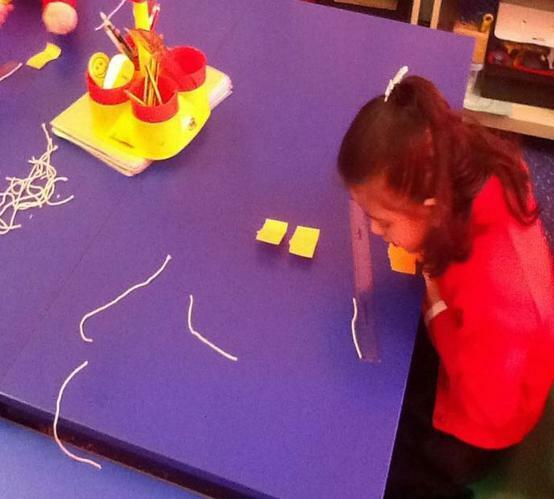 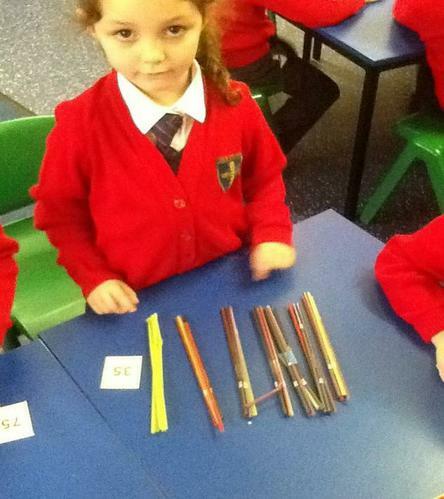 We used a ruler to help us measure the different lengths of string and other objects from around the classroom. 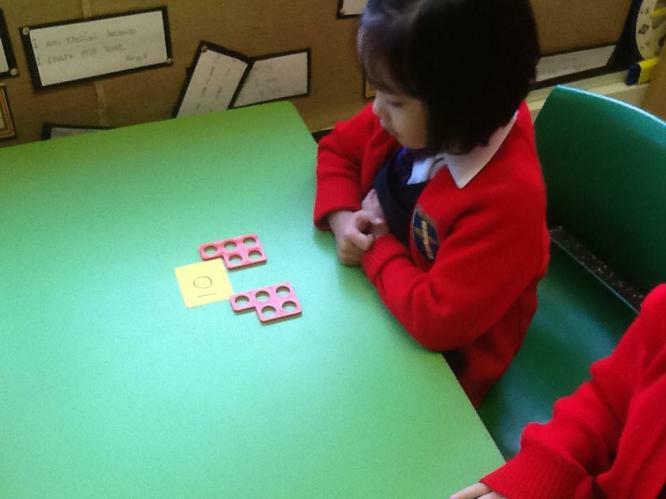 Look at how clever we are at ordering the lengths correctly! 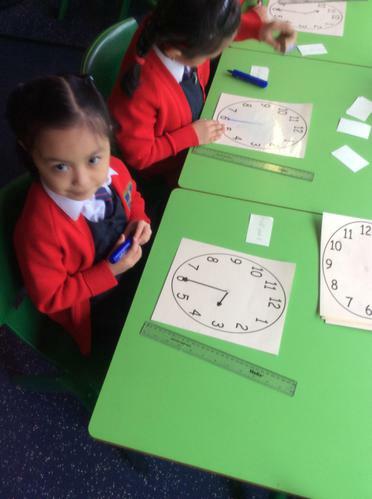 In class we have been learning to tell the time during the Spring term. 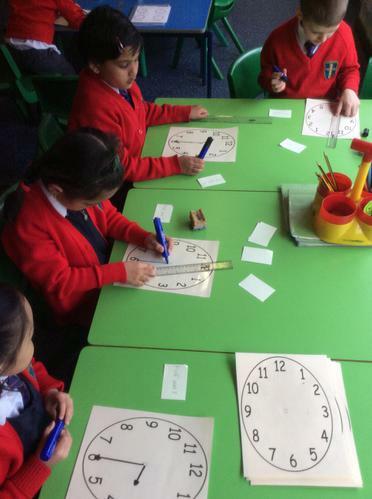 We can tell the time when it is o'clock and half past the hour. 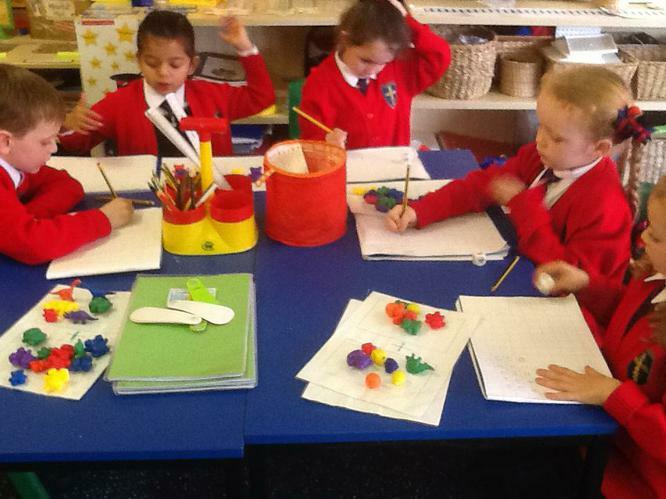 We are able to identify where the long and short hands should be pointing when drawing the hands on a clock to show a different time. 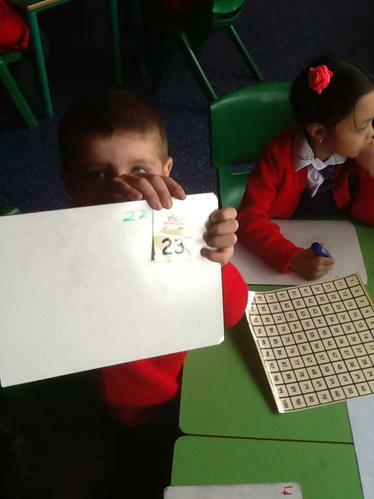 We used clocks in class to show different times that Miss Cathcart asked us to show. 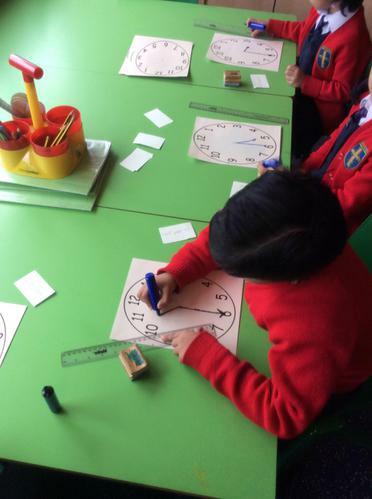 We then enjoyed drawing the hands on a clock correctly to show a given time. 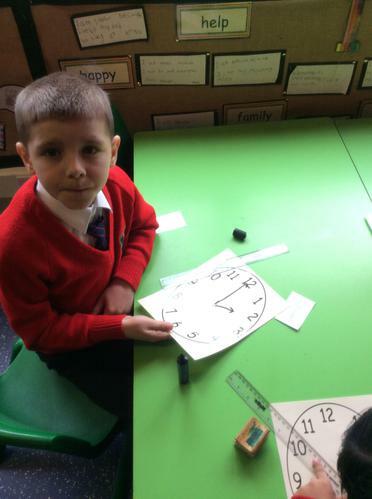 It would be beneficial for the children if they continued to practise telling the time at home, perhaps showing them a clock when it is o'clock or half past the hour and asking them to tell the time. 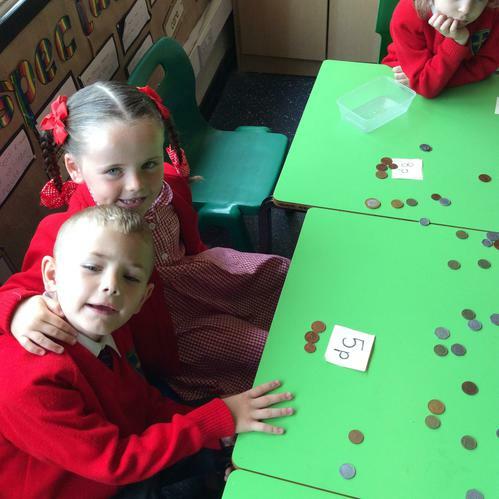 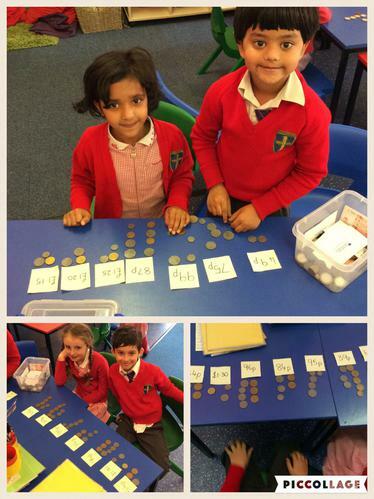 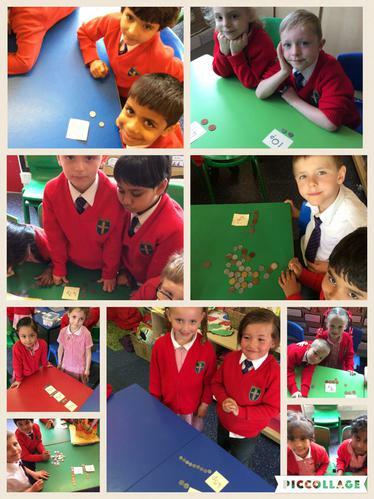 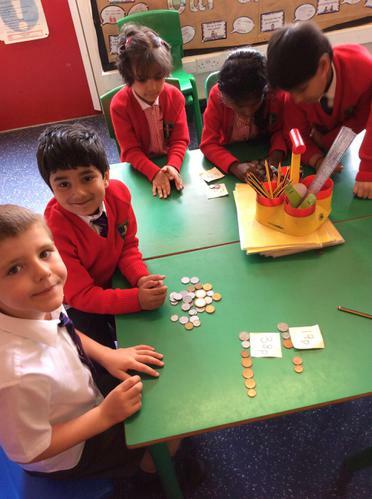 Look at how we can recognise coins and what they are worth! 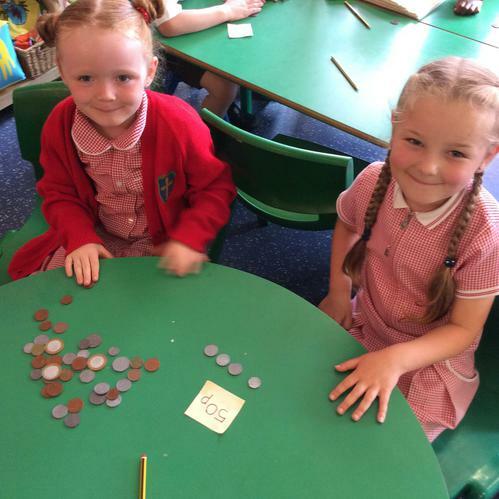 We were also able to use different coins to make given me amounts! 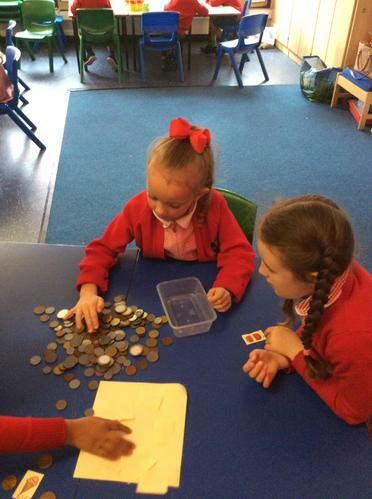 We can find halves and quarters of different shapes and quantities. 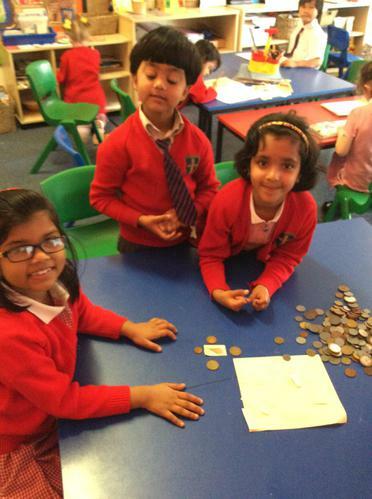 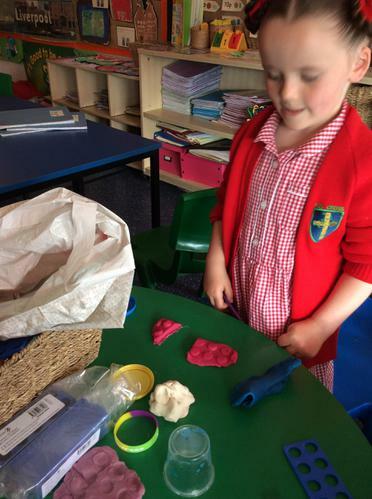 We can use objects to help us find halves and quarters of quantities. 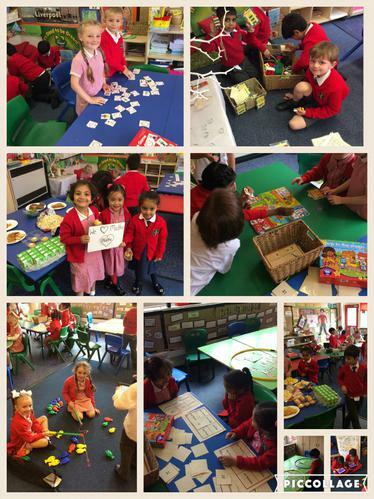 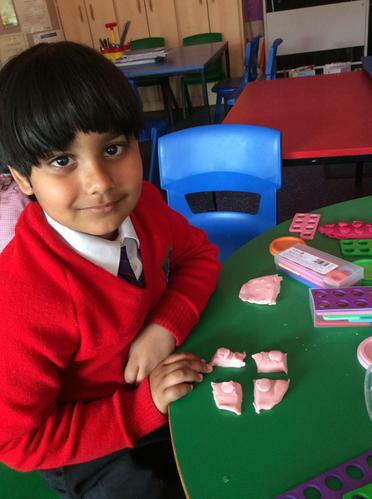 We had lots of fun at our recent Maths Party in class! 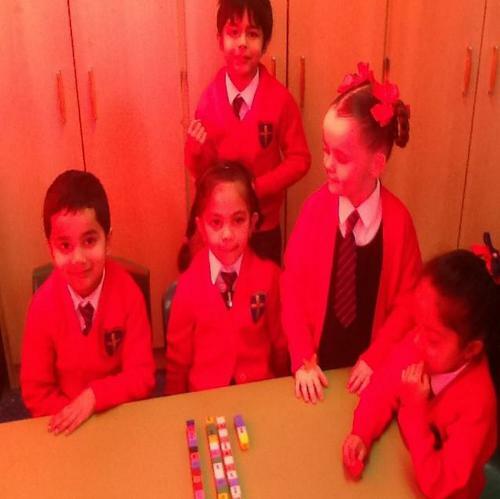 Look at how amazing we are at counting in 2s!